In Cuba, the word “regla” has multiple meanings. Above all, it is the name of the port city, Regla, located on the periphery of Havana and one of the most important religious centres of the country. 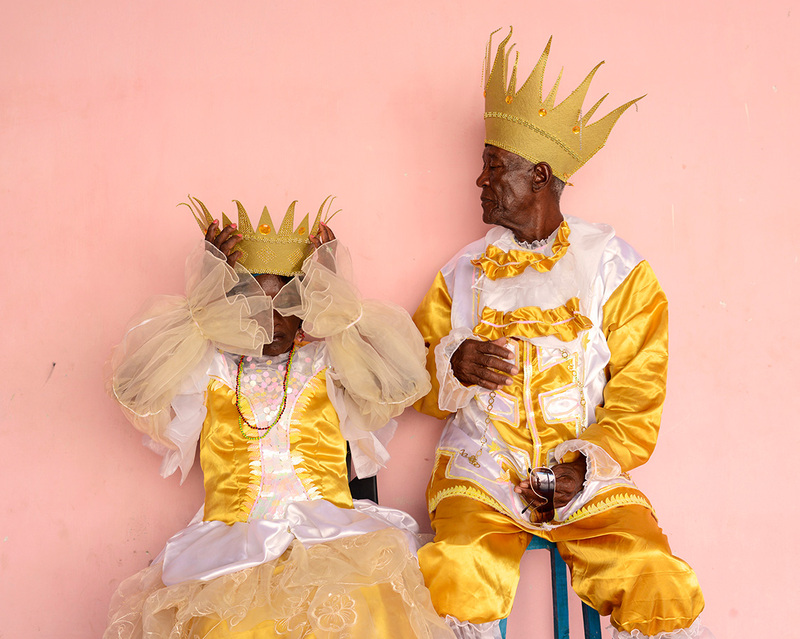 Regla also refers to the three major Afro-Cuban religions: the Regla de Ocha or Regla de Ifá, better known as Santería, the Regla de Palo, and the Regla Abakuá. Lastly, in Spanish, regla means rule, precept or law, and, by metonymy in Cuba, the Cuban regime. With Regla, I reveal a little-known reality of Cuba. Through four different journeys between 2015 and 2016, I was able to tell the story and photograph the existence of spaces of freedom and resistance that are defined by the practices and relationships to the world of Afro-Cuban communities descendant from slaves and are embodied as much in secret societies and secular brotherhoods as in the young urban movement of raperos.